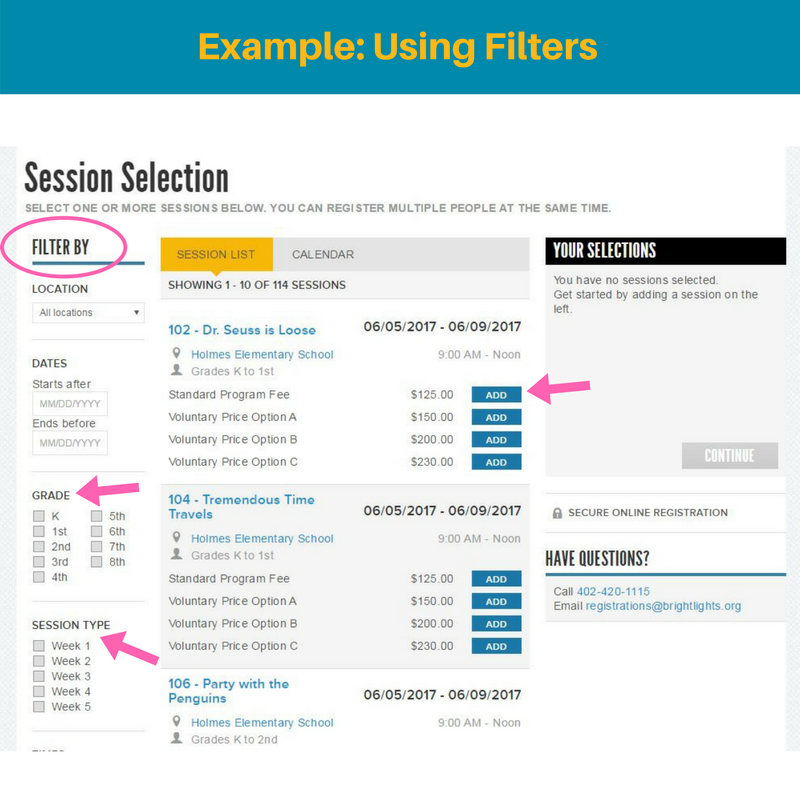 As we come closer to our first day of registration, we promised to continue sharing helpful registration tips...like this one about how to use filters. 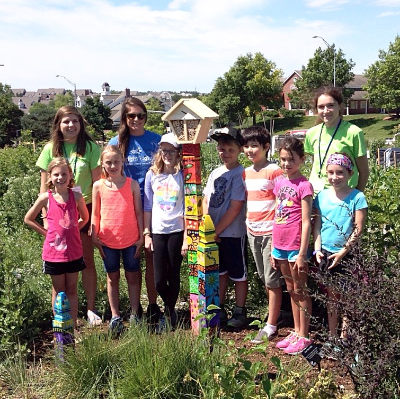 Bright Lights offers approximately 30 classes for most program weeks for many grade levels. We recommend using filters to narrow down the classes that appear so you are only looking at the classes applicable to you. When registration opens on April 1 at 8 AM, the first screen will look like this image. On the left are several filters. Simply select the grades for the student(s) you are registering as well as each week they want to attend Bright Lights. Now only the classes that your student(s) can attend based on that criteria will show! Not only does this make the amount showing a little more manageable, but you can select all of the classes you want for all of the students you are registering at the same time—and doing this will insure that the classes are saved in your cart until you are done with the registration process! Then just follow the on-screen steps which will assign a student to each class you chose.